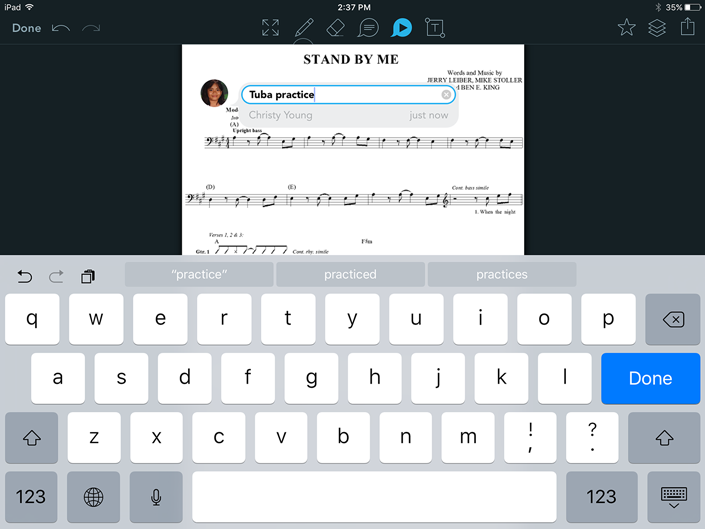 Showbie 3.3 – Comment Editing, Improved ePubs and More! The Showbie team is pleased to announce the launch of Showbie 3.3, which includes enhancements to comments and voice notes, improved ePub previewing, and more! Read on for details. Ever posted a comment to Showbie and then immediately spotted an annoying typo? Previously, you’d have to delete the original comment and re-post a new comment with your edits. Showbie now enables you to edit comments after you’ve posted them — just tap and hold on a comment (or right-click if you’re using a mouse) and select the edit option. This works for comments in folders and for pinned comments within documents. Edited comments are presented with a small icon next to the date and time of the original post, so you can always tell which comments have been edited since they were originally posted. For student comments, you can check the color of the icon to see if the edit was made after the assignment due date passed. A few months ago we added the ability to rename voice notes in folders on iOS. As of version 3.3, you can now rename any voice note, whether it’s pinned on a document or posted to an assignment folder, on either iOS or the web. Same as for comments, all you need to do is tap and hold, or right-click with a mouse, to reveal the options menu. We’ve also added the ability to rename files on the web, just like you can on iOS. ePubs — From Good to Great! If your students create ePubs with Book Creator and save them to Showbie, you’re going to appreciate the improvements we’ve made to our ePub previewer. You can now zoom in on your ePub to take a closer look, open embedded links, and float embedded videos using iOS’s picture-in-picture feature. We’ve also polished and refined the way ePubs are displayed. 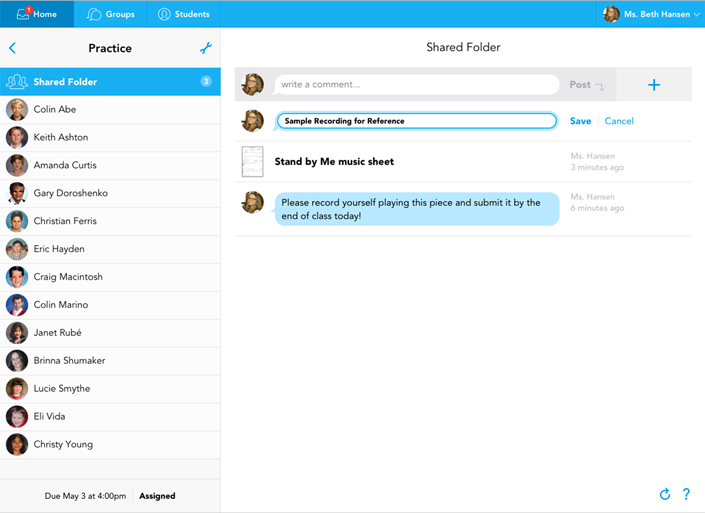 New posts and updates in assignment folders now stream into the app in realtime, allowing for instant feedback and fluid conversations with your students, and making it easier than ever to stay on top of assignments! We hope you’re as excited about these improvements as we are. Our team is already hard at work on even more new features, so stay tuned!